I recently received a request to analyze another game (from the same round as the last game we went through) so here goes.Once again, I have enlisted the help of our best friend, Deep Fritz 12, to provide valuable analysis for this game. Note: To protect the identities of the players involve, I have replaced their real names with pseudonyms. Although White has doubled pawns on the g-file, he gets compensation with the open h-file, which gives him attacking chances on the kingside. So I wouldn't really want to castle kingside as Black in this position since it only helps my opponent realize his chances. 9... Qd6 would have been a good alternative, developing the Queen and preparing to castle queenside instead. After 11... Bxd3, the continuation suggested by Fritz was 12. Qxd3 a5 13. e4 dxe4 14. Nxe4 a4. 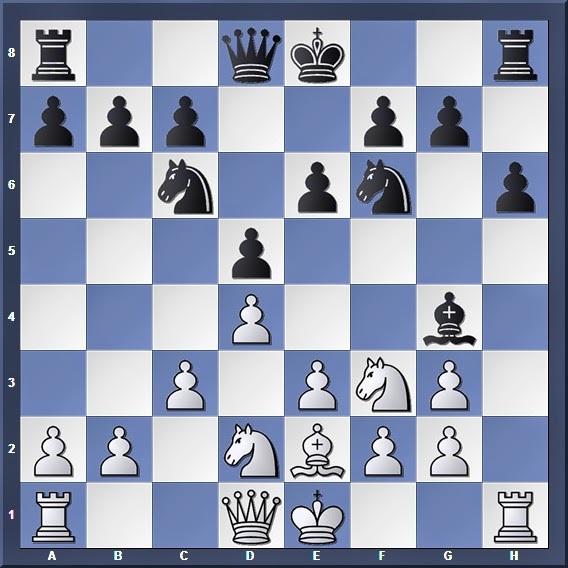 Here Black is trying to discourage White from castling queenside, thus preventing him from using his rooks effectively to exploit the open h-file. 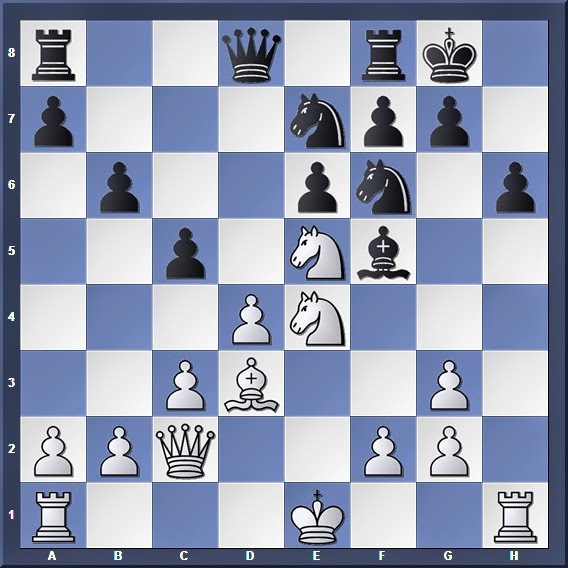 It seems like a very natural move, preparing to challenge White in the centre, but 14... c5 is actually a blunder! This is because Black's centre is still very fluid, and not doing anything to liquidate the situation allows White to unearth a tactical blow. The alternative suggested by Fritz was 14... Nxe4 15. Bxe4 f6 16. Bxf5 exf5 17. Nc4 Re8 18. O-O-O (or 18. O-O) after which both sides are roughly equal; Black has a slightly worse pawn structure but his pieces can get centralized more quickly. 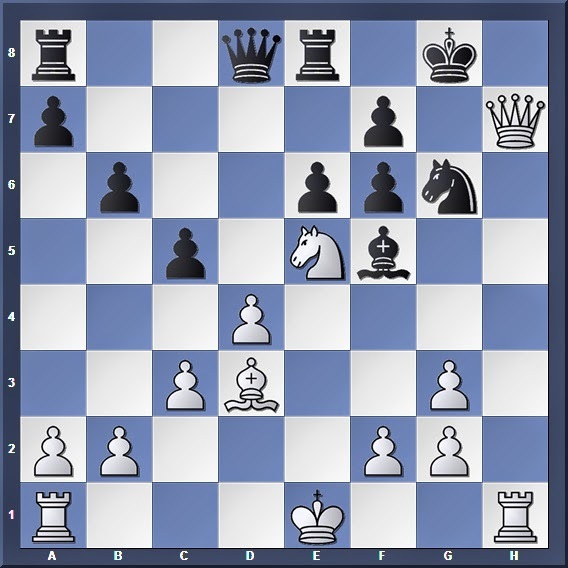 Now, spot the tactical blow for White before you scroll down! Or 15... Kh8 16. Qd2 and Black finds himself a piece down with a crumbling kingside. After 16... fxe5 17. Qxh6 or 16... h5 17. Qh6 Black won't survive for long either. There is no escape; 18... Kf8 falls to 19. Qxf7#. 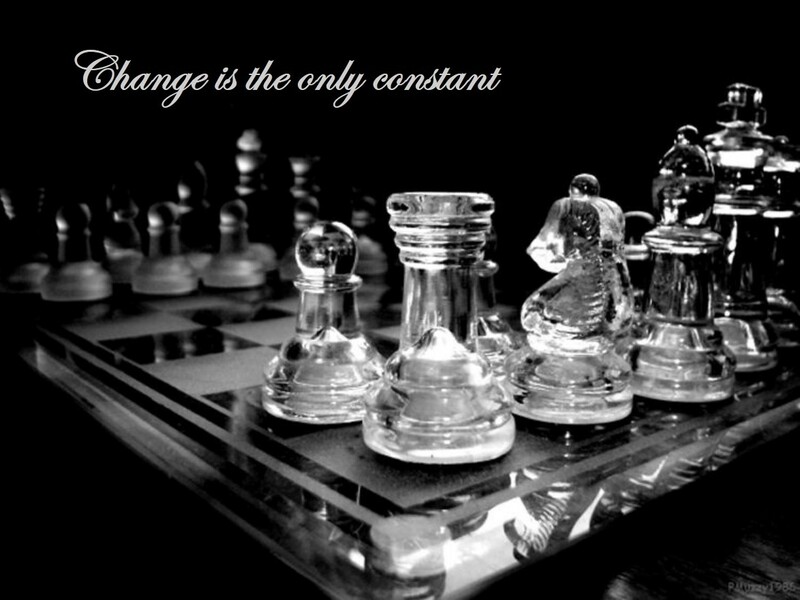 How tragic that a seemingly harmless move would turn out to be the blunder that led to disaster for Black. Moral of the story: Think!